Great location, great and very polite people. The balcony was big enough to chill with an excellent view. The owner even moved our stuff to the port. Really liked the room but there were some drawbacks as described. The owner and the family were amazing, they made us feel so at home! View from balcony was exceptional. Due east so able to watch the sun rise behind another island. Good restaurants from cheap and cheerful in clock (square in the centre) to more expensive around the old harbour. Polite and extra helpful stuff. Clean room. Comfortable and spacious enough for four people. Strongly recommended. Friendly and helpful staff. 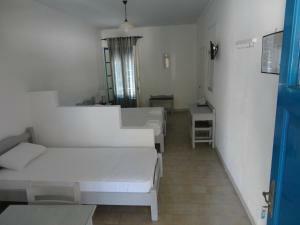 The rooms were very clean and the pool was a good size with lots of sunbeds around it. Lianos hosts were excellent. Hotel high up on hill out of town noise. Easily accessed on foot within 10 minutes from town if fit enough to walk up hill. Room clean and equipped with everything needed for our stay, with other food available from hotels pool bar if required. Local shop, bakery and bike hire 4 minutes walk away. Cool private room balcony for afternoon drinks, nice distant water view, pool to cool off. Very helpful and cheerful host on hand and also available to collect and drop off at port. 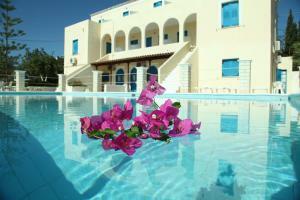 We recommend Lianos as an excellent place to stay at Spetses. The owner is very friendly and helpful. The pool is very nice amd clean. Great value for money! Lianos Hotel Apartments This rating is a reflection of how the property compares to the industry standard when it comes to price, facilities and services available. It's based on a self-evaluation by the property. Use this rating to help choose your stay! Overlooking Spetses old harbor 1,650 feet away, Lianos Hotel offers self-catering apartments with air conditioning, while it features a pool with sun terrace. 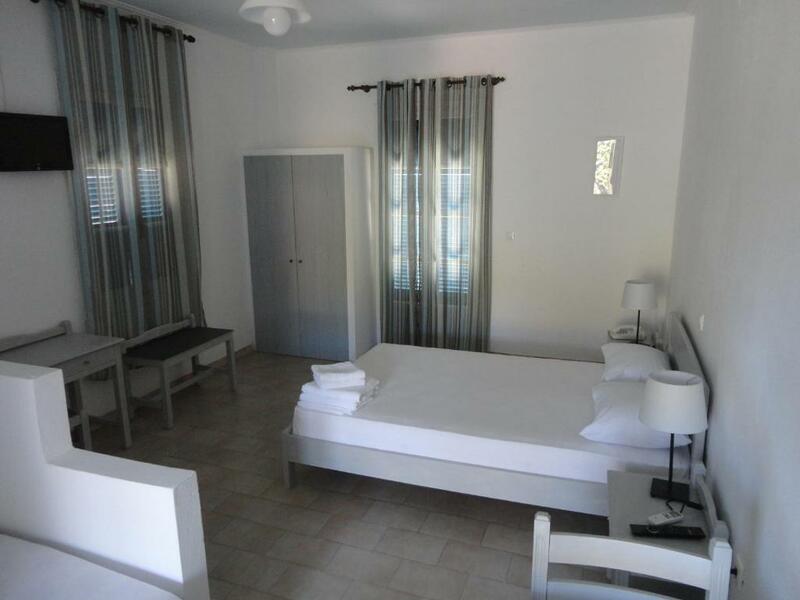 Lianos Hotel Apartments are bright and airy, and have a balcony or terrace with views to the pool or the Saronic Gulf. They come with a kitchen with fridge and a TV. Next to the pool, a snack bar serves refreshing drinks and light meals. In the hotel’s garden, guests can also find BBQ facilities and a children’s playground. Restaurants, traditional taverns and bars are within 1,650 feet. 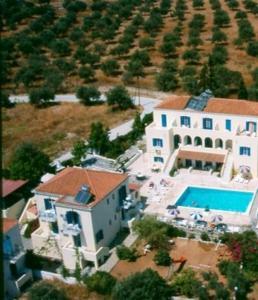 Dapia, the main town of Spetses, is 0.6 mi from the apartments. Free Wi-Fi access is available in Lianos public areas. Staff can arrange free 2-way transfer via mini-bus upon guests' request. When would you like to stay at Lianos Hotel Apartments? 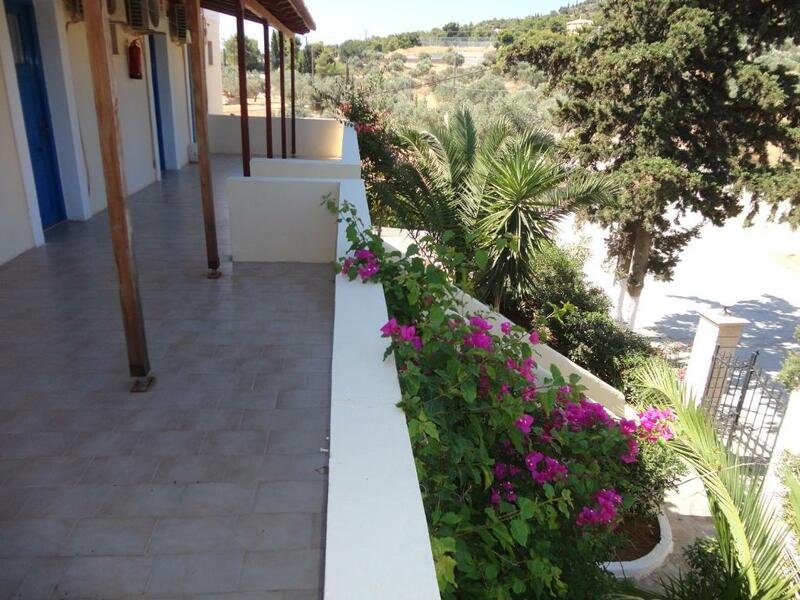 This air-conditioned room has a balcony or patio with views to the pool or the Saronic Gulf. This air-conditioned apartment has a balcony or patio with views to the pool or the Saronic Gulf. It includes a kitchen with fridge, and a TV. House Rules Lianos Hotel Apartments takes special requests – add in the next step! Lianos Hotel Apartments accepts these cards and reserves the right to temporarily hold an amount prior to arrival. For arrival/departure time between 10:30-14:30 and 17:00-22:30, free 2-way transfer can be arranged. Guests wishing to use this service are kindly requested to inform the property in advance. Contact details can be found on the booking confirmation. The bathroom door was completely destroyed and could not stay closed. The pool and bar worked only between limited hours. The bedsheet was too small to fit two people. Wi-fi did not work properly half of the time. you had to ask someone to switch on the hot water, something that was difficult since there is very little staff. the pool and bar are 'closed' between 3 and 5 pm. 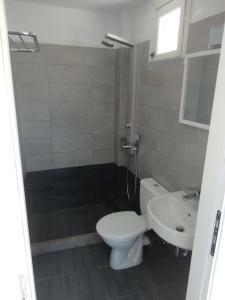 The bathroom had no window and no ventilation thus it was always humid with bad smell. The pool was so dirty that we supposed it would be likely dangerous for someones health to swim. Of course we didn't ... 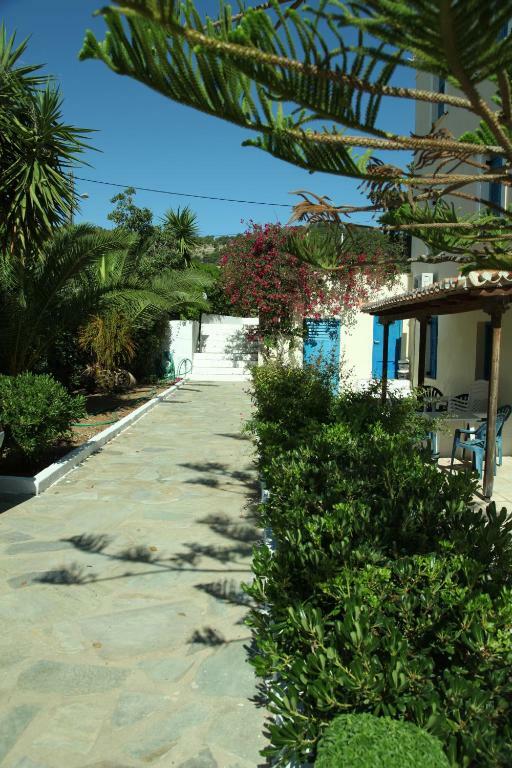 Moreover the location couldn't be more far from the center of Spetses. Finally the price was extremely high for such a room. It's a 15 minute walk to the harbour and a little less to paradise beach (Agia Marina). Steep walk to the hotel which would be an issue for anyone with mobility problems. Wifi reception is not good in the rooms. You have to be in the pool area to get signal. No breakfast served but you can get a coffee! Nothing our needs were well catered for. Although a little out of town of Spetses location was stunning.Owner of hotel extremely helpful and spoke very good English.Collected us from port and taken to hotel.Very good facilities including a very clean swimming pool.Room cleaned daily .Bar at hotel and snacks available and breakfast if you wish.About a 30 minute walk to town,or there was local taverna and beach about 10 min walk. ALso village close by with bakery ,and couple of supermarkets We hired a quad bike after attempting a scooter but found difficult to manage with 2 on it! The rental man was more than happy to swap for extra 30 euros for 4 days ,and haggled for a deal for 80 euros as you can get it cheaper during the week.Safest way to go around island and also gives you the ability to go off road to find hidden beaches with no one on!Lots of lovely tavernas and restaurants dotted everywhere,the old harbour well worth a visit,lovely to sit and the comings and goings of some incredible boats.We really did have a lot of fun here and would certainly go back to Spetses and to lianos hotel !